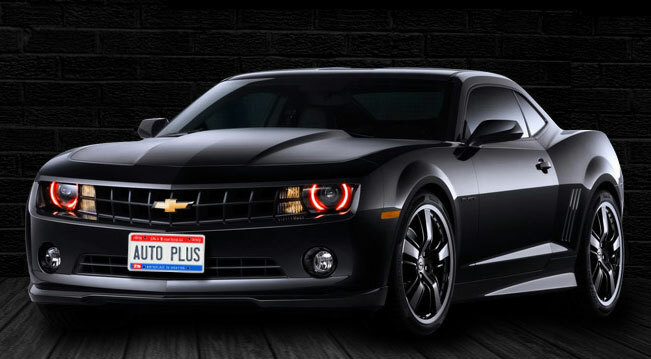 Since 2003, Auto + Plus Automotive Service Center in Orient, Ohio has been the automotive repair and maintenance shop that people in this area have looked to for their car care needs. Conveniently located 2 miles south of Rt. 71 Exit 94, our well-known service center specializes in all types of expert automotive repairs and service. We use only the latest equipment and can handle any size job in a short time and at reasonable rates. With the automobile as complex as it is today, you owe it to yourself to let the qualified professionals at Auto + Plus take care of your vehicles. We employ ASE Certified technicians. Better Business Bureau accredited since 2005. Why Choose Auto + Plus? Oil is the lifeblood of your engine. Regular oil changes ensure long, reliable engine life and increase gas mileage. Tires are your contact with the road - we make sure yours are tip-top. Custom wheels? Yeah, we do that. We have ASE Certified Master Technicians to handle all maintenance needs. Transmissions are the most overlooked component on most cars. We'll make sure yours is up-to-date with recommended service. Did you know that heat is harder on batteries that cold? We'll check yours and replace it only if necessary. Lights keep you safe on the road -see and be seen. We'll make sure all of your lights are working! We will rotate your tires per your manufacturer recommendation and perform a full brake inspection on your front, rear and parking brake systems. Change your engine’s oil and oil filter, lube the chassis, and top off other fluids. Most cars and light trucks. Up to five quarts 10W-30. Use this coupon to receive $4.00 off synthetic and diesel oil changes. Change your engine’s oil and oil filter using synthetic oil, lube the chassis, and top off other fluids. Most cars and light trucks. Up to five quarts. Protect your radiator and engine from corrosion. Prevent freezing/overheating. Most cars and light trucks. Up to five quarts 10W-30 per oil change. We support our troops! Save 10% with your military ID. My family and I have gone to Auto Plus many times over the past several years to have our cars worked on. Most recently a couple of weeks ago. They have always been professional, courteous, efficient and they are good at what they do. I have never had an issue with anything I have brought my vehicle in for. Vivian, Ed and the team has treated us with the utmost respect and the Christian Atmosphere makes for a pleasurable experience. Speaking from experience, I would highly recommend Auto Plus for any of your repair needs. I have taken my vehicles here for several years now. The staff is very professional and have always been exceptionally knowledgeable. I have had a wide variety of vehicle problems in NY day and they were able to help in every scenario. The owner is fantastic and always has been willing to sit down and explain any and everything to me when necessary. I've never has billing questions and things have always been exactly as I was told they would be! Family friendly place! Always give the best service and make you feel very welcome. They understand financial issues and work with you on it. They will show you what needs fixed right way and what can wait. Since coming here I wouldn't go anywhere else they can show you what work they are doing to your vehicle. And if you call asking questions they will give you professional opinions and not demand to see your car ( although it should be brought to get the best opinion) they work quick and effectively. Best auto shop ever!